Old historical maps and prints of St Martin for sale. All are originals. I do not sell reproductions. 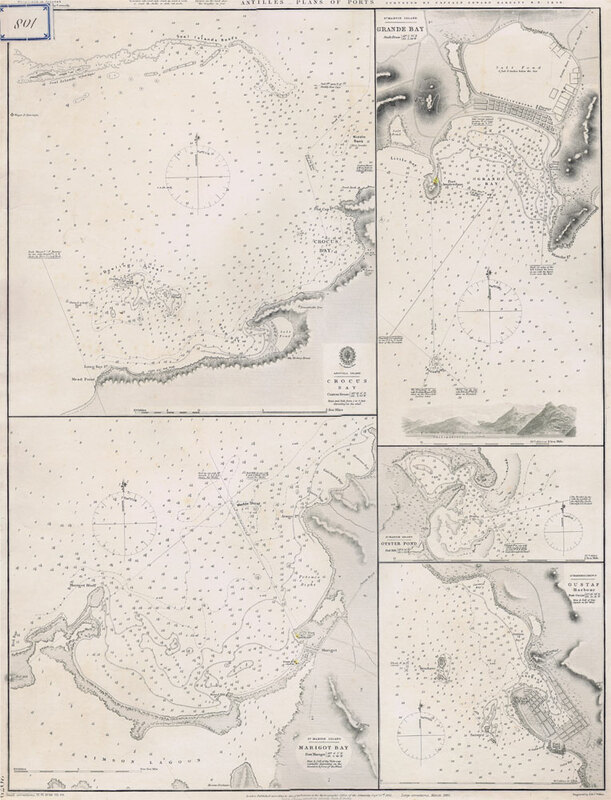 ADMIRALTY CHART Antilles - Plans of Ports. Chart comprising five port plans of Crocus Bay, Anguilla; Grande Bay, Marigot Bay and Oyster Pond, all on St Martin; and Gustave (Gustavia) harbour on St Barthelemy (St Bartholomew). 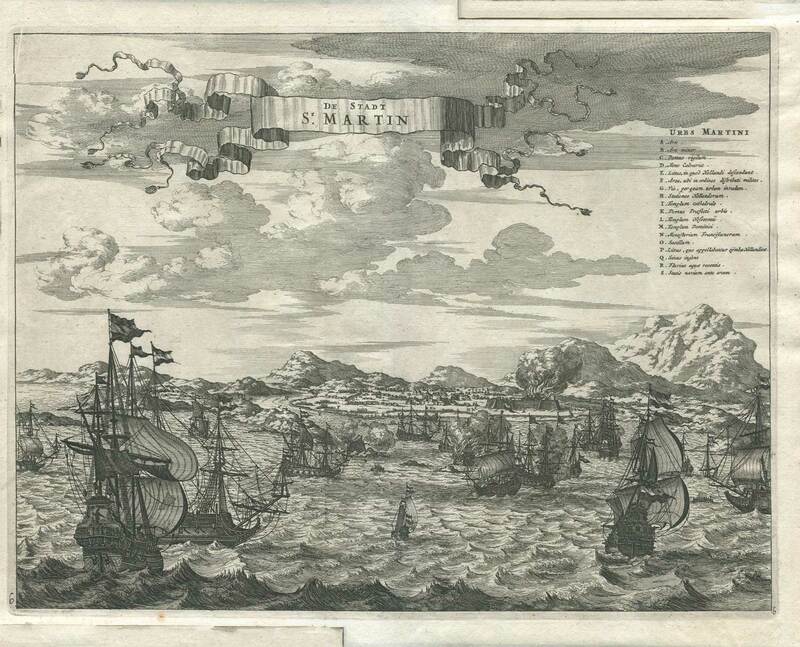 Also contains small view of Philipsburg, St Martin. Clean with full margins. 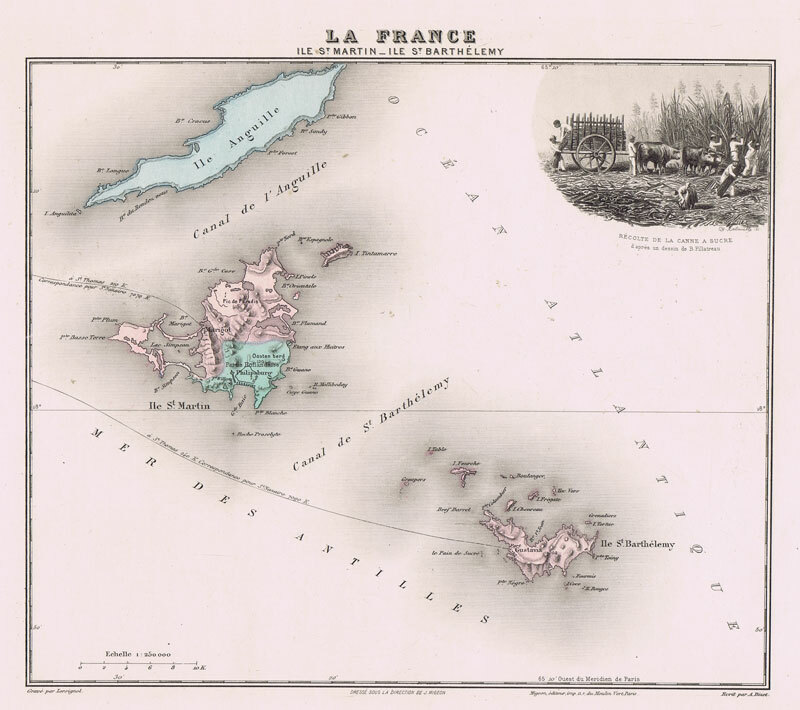 18 x 24"
MIGEON J. Ile St Martin - Ile St Barthelemy. Coloured engraved map with inset vignette view of cutting sugar cane. Fine. 10 x 9"